So far got three gifties: two Spirographs and a one-year gym membership. I loved my friend Robin's Spirograph...that must have been 1967! I think I whined at home until I got it as a 'gift' to shut me up. I played with it until the pens ran out of ink! 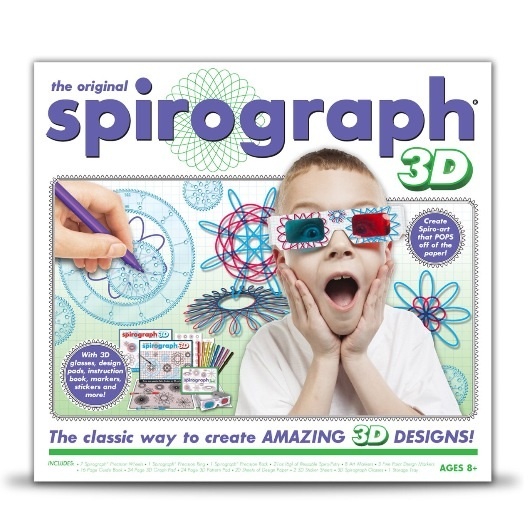 Oh God, I was the biggest Spirograph™ geek as a kid. 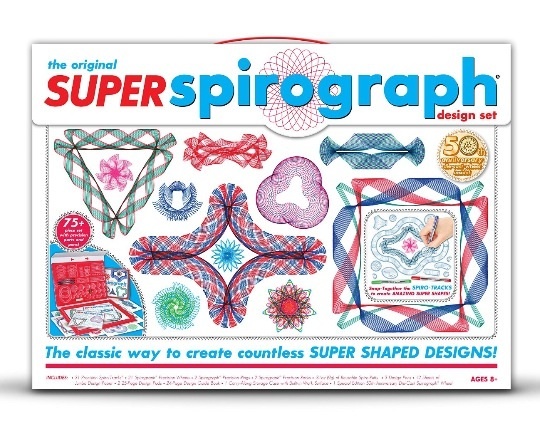 I had a regular and a Super Spirograph. I hated the regular one because by the point it was made, they decided push-pins were too dangerous for little kids to have, so they replaced them with these big, plastic brackets that left big holes in the paper, and made the paper tear when the pen ran over it, thus ruining your beautiful artwork. Two things I love. The gym and Spirograph! Who knew that they had advanced the technology so??? Just wanted to wish you a very Happy Birthday here today!! Hope you have a wonderful day of celebration!